Every year, the lines stretch down the halls of the cavernous Cobb Galleria Centre for the city’s best annual artist marketplace. 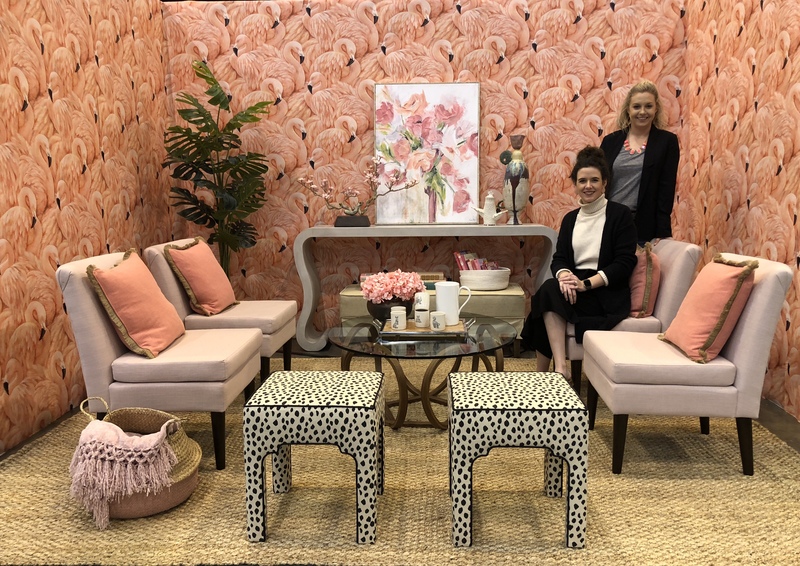 By the weekend’s opening at 10 a.m. Friday, hundreds were already pouring in to shop the colorful booths of fine jewelry, art, clothing, furniture, and home décor. The exposition, established by the 76-year-old nonprofit American Craft Council, based in Minneapolis, hits four cities each year (the others are held in Baltimore, Minneapolis, and San Francisco). Art collectors and craft shoppers flock to see the latest work by artists and makers from all over the country, though if you’re looking for local, 34 of the 230 vendors are Georgia-based. It can get overwhelming, so here’s our cheat sheet on what not to miss. 1. Style Slam: On Saturday, four local wardrobe stylists, in partnership with Fashion Group International, will “shop” fashion from the makers’ booths to create looks on mannequin, on model, and wardrobe selections for a surprise list of hyperlocal Atlanta events (think: what to wear to an opening at the High Museum). The participating stylists are Naghmeh Fatima Ghayour, Ashlan Riess, Whitney McMillan, and MJ Sykes. Fashion journalist and stylist Anita Finkelstein will moderate conversation on the interactive wardrobe reveals. 2. 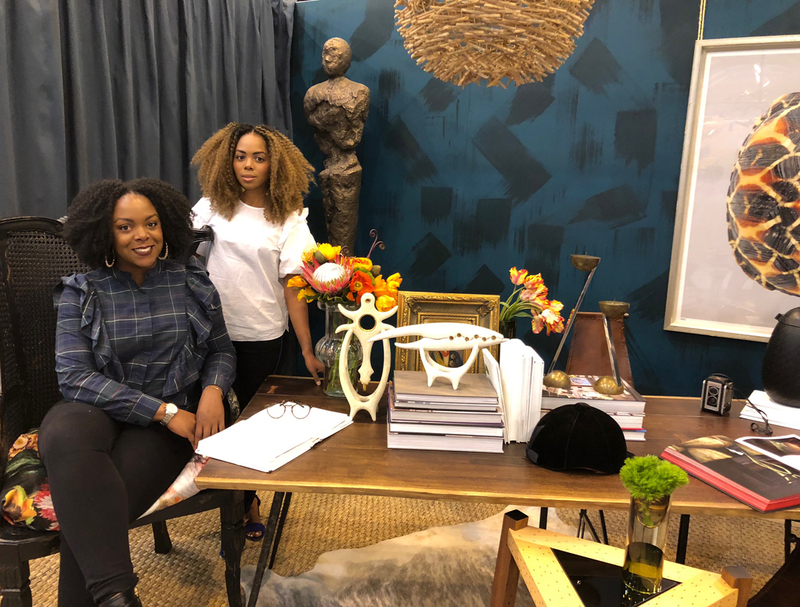 Make Room: Find four stunning room vignettes by local interior designers Diane J. Hewitt (Design Concierge), Tavia Forbes and Monet Masters (Forbes + Masters), Alejandra Dunphy (a-dstudio.com), and Leah Atkins and Kaila Nelson (Leah Atkins Design). The theme, Color Story, stands out in the teal study by Forbes + Masters and the flamingo pink sitting room by Leah Atkins. 3. Blanc Creatives: Any home cook will swoon over Corry Blanc’s steel pans, created by a team of talented blacksmiths in Charlottesville, Virginia. 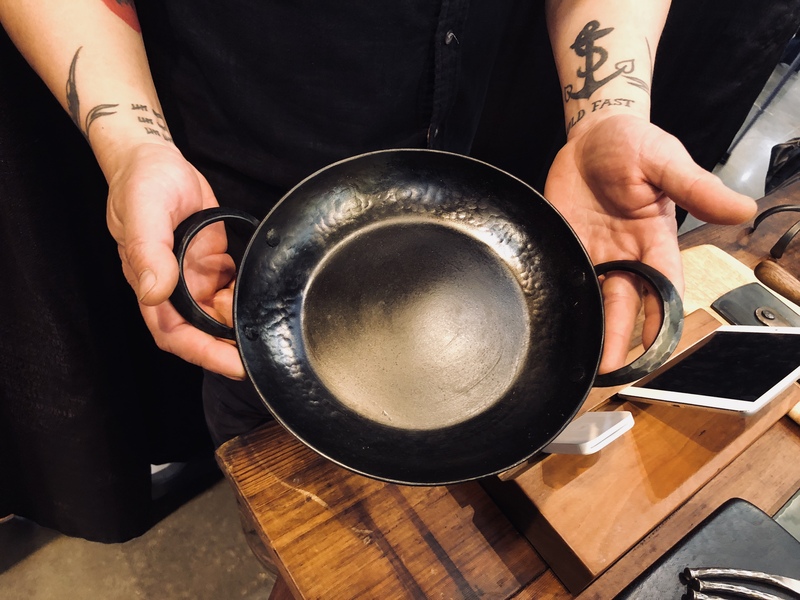 Prices for those start at $195 for an 8-inch skillet, but his wares range from spreaders and bottle openers and wooden spoons to copper sauté pans that start at $625. 4. Paz Sintes: The Barcelona-born jewelry designer, now based in Brooklyn, crafts exquisite jewelry from fine European laces, guipures, and other delicate textiles. She hand-stitches and dyes the necklaces, bracelets, and earrings, which have been seen on Queen Letizia of Spain. 5. 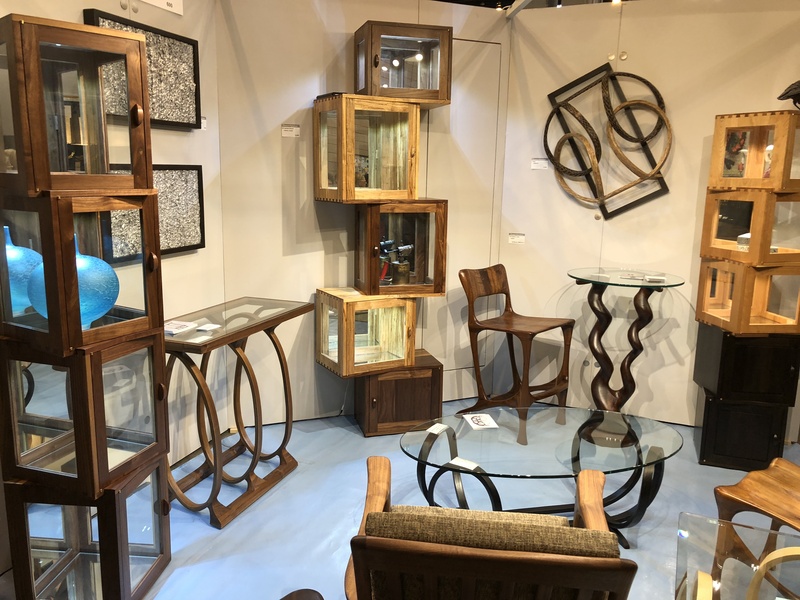 Jack Anderson Arts: Born and raised on Tybee Island, and now based in Marietta, woodworker Jack Anderson was inspired by the work of nationally known woodturner Ed Moulthrop. 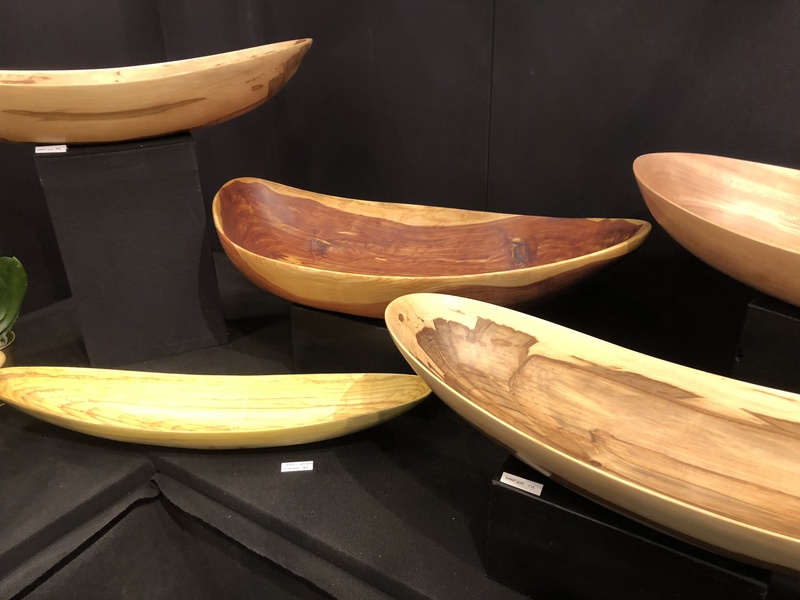 His smooth, canoe-shaped bowls are irresistible to touch, crafted from the wood of fallen trees, from magnolia to the bright yellow Cladrastis Kentucea. 6. Ordinary Furniture: Derek Hennigar named his solo wood shop “Ordinary” in response to the industrial furniture manufacture in North Carolina. His pieces, which range from organic to modern, are mostly crafted with local logs, and take inspiration from Scandinavian design and Appalachian traditions. 7. Hip Pop: Meet the country’s best emerging artists in the Craft Council’s version of a maker incubator. 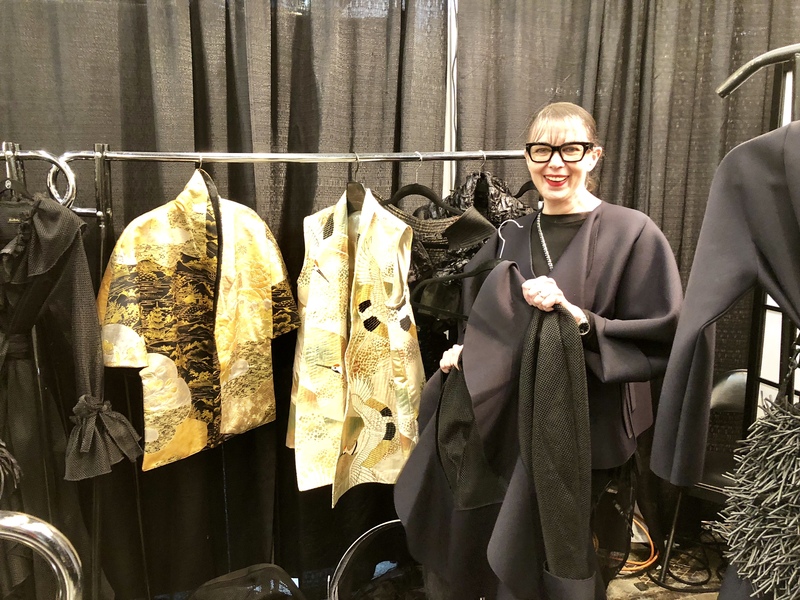 Sharing a booth, these artists’ offerings range from Caroline Muneoka’s cool printed jackets to Jessica White’s storybook scrolls and Opeyemi Omojola’s geometric jewelry. 8. Let’s Make: Try your hand at making something crafty at these interactive exhibits ranging from ceramics to fiber to beauty. Spin some clay with Mudfire (Friday only), or create a small treasure from yarn with the Southeast Fiber Arts Alliance, or make your own natural face mask with Woodstock’s Dirty Beauty. Demonstrations from the Georgia Association of Woodturners always draw a crowd. 9. Susan Bradley: This Minnesota-based fashion designer is always a highlight of the exhibitions. Her kimono-style wraps and quilted capes are influenced by ancient Japanese and Chinese techniques, but feel elegantly modern. 10. The Balvenie Lounge: You don’t have to shop to sip. Balvenie Scotch whisky will be offering tastings throughout the weekend. Its Scotch, handmade using traditional techniques, fits right in to the mission of the American Craft Council. Event details: $13 for a one-day pass; $5 on Friday after 5 p.m. The show runs until 8 p.m. Friday, then is open 10 a.m. to 6 p.m. on Saturday and 11 a.m. to 5 p.m. on Sunday. Tickets and more information available at craftcouncil.org.